Founded in North Tonawanda, New York, in 1925 by Lebanese immigrant Saltonia Budwey as a small, 800-square-foot deli, Budwey’s Supermarket is one of the area’s most familiar and trusted names in food. Known for its extensive meat offerings and an in-house scratch bakery, Budwey’s owes its current status to a history of strong female leadership. Saltonia ran the deli for 14 years — despite not speaking English — before passing the family business off to her son, James Budwey, in 1936. James expanded the Budwey’s empire to include three stores and a custard stand, but when he died tragically young at age 39, the future of the local supermarket chain was in question. “This was in 1952 when women did not run businesses,” says Frank Budwey, current president and owner of Budwey’s Supermarket and the son of James and Flora Budwey. “The bankers and her wholesale food suppliers wanted my mother to sell and liquidate and pay off the debt after my father’s death because they were worried she would not be able to keep it going,” he says. Flora defied the skeptics and successfully ran Budwey’s until 1971, when Frank took over the family business upon his return from serving in Vietnam. By that time Budwey’s had consolidated its operation to one, centrally located store, but the business was still losing money. Bucking industry trends, Frank left a franchise group in 1972 just as many small, independent grocery stores were flocking to such groups. Saltonia ran the deli for 14 years — despite not speaking English — before passing the family business off to her son, James Budwey, in 1936. It was this partnership with Olean that inspired Frank’s most innovative business idea to date. After years of shifting allegiance between different suppliers, he had finally found the perfect fit in Olean’s co-op model, where the stakeholders and those who knew the business best had an active role in the decision-making process. Frank found the model so refreshing that he sought to find a way to integrate it into his own business. “I decided to give the store to my full-time employees,” says Frank, who split a 45 percent ownership stake between 33 of his 125 employees, who are now partners. Workers earn a percentage of the store’s profits in proportion to the number of shares they own and shares are sold back to the company if an employee-owner decides to leave. While some other grocery stores around the country offer employee stock ownership plans, Budwey’s is the first grocer on record to outright give up 45 percent of the company directly to its employees. Frank will remain with the company for another 5 to 10 years and retain a 55 percent stake in the business until his death, then those shares will be offered to employees. Three full-time employees will own 20 percent each, to control the destiny of the company. 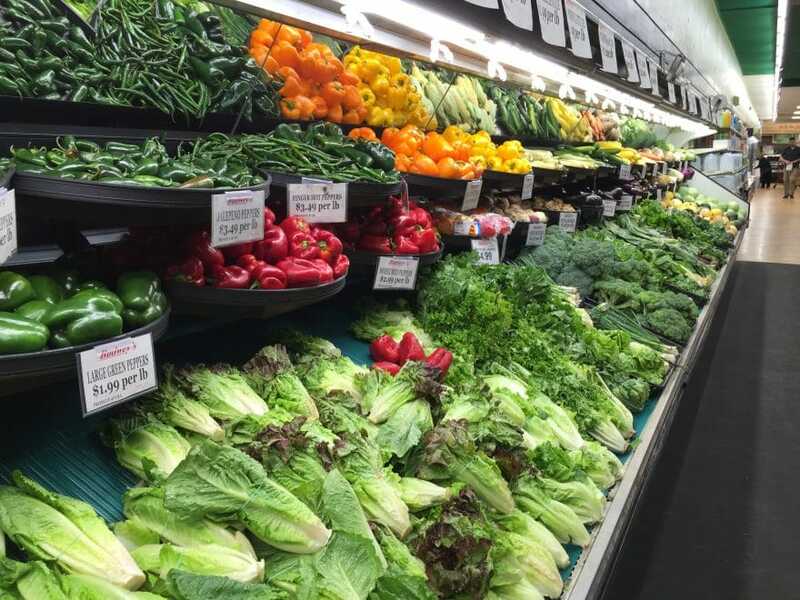 The investment went toward a new Armstrong luxe plank floor, new dairy and produce cases, deli scales, LED lighting throughout the store as well as four new self-checkout registers and 8 service registers. “Younger people love them. Even some of the seniors are loving them,” Frank says. 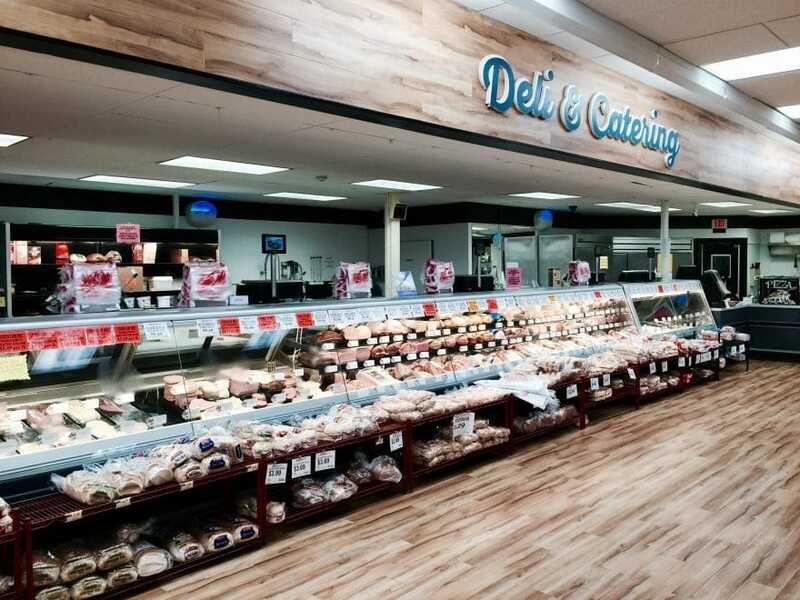 In an era when traditional grocers must increasingly contend with specialty grocers and big-box stores, Budwey’s has set itself apart by focusing on those services that have become an afterthought at so many competing stores, such as the meat counter and bakery. At Budwey’s, shoppers will find real butchers staffing the meat counter, where they can even request custom cuts. “We have a large selection of beef, chicken, pork, turkey products with the best prices and service in the area,” says Frank. For Frank, the grocery business can be a grind, but it’s the meat department that does the real grinding around the supermarket. The meat department churns out over 25 varieties of homemade old world sausage, going far beyond the typical sweet and spicy varieties, Budwey’s now produces sausages in flavors as diverse as chicken wing , chicken feta spinach, chicken cranberry, wine and cheese, pork pizza, honey garlic, Cajun and black olive asparagus. Unlike many of its competitors, Budwey’s also operates an in-house scratch bakery that produces typical bakery favorites alongside new baking trends such as cronuts — the half-croissant/half-doughnut hybrid that made headlines when it first debuted in New York City in 2013. “In-house bakeries are a dying breed, but we have the best doughnuts in western New York,” says Frank. With a strong roster of in-house services, a trusted established name and an innovative way of making sure the business thrives well into the future, Budwey’s Supermarket is poised to continue serving the North Tonawanda area for years to come.